As the 90th Oscars ceremony premieres this Sunday evening, the #MeToo movement will be present yet again, with the recent scandal breaking around host, Ryan Seacrest. But there's a long history of women's activism, especially black women's activism, that has been simmering slowly and steadily. Like the legacy of Recy Taylor, who died in December of last year at the age of 98. Taylor’s determination to seek justice for her rapists in Jim Crow-era Alabama set the stage for the Civil Rights Movement and in many ways, today’s modern #MeToo movement. 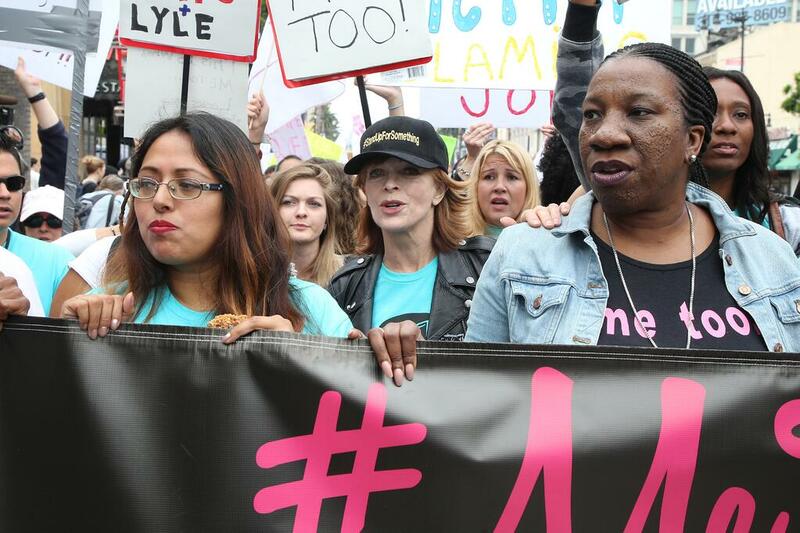 Tarana Burke, the founder of the #MeToo movement is now carrying the torch forward and lighting the way for women to step up and be heard. This issue stems far beyond Hollywood where many women are not empowered to speak up or fight back. But how do we discuss this with our students? It can be an uncomfortable subject to approach, yet as the next generation, their involvement in moving us towards progress is undeniable. By framing today's movement through the lens of black history and activism, we can start to open space for safe and reflective discussion. Understanding the evolving context can empower our young people to think about their own agency and how they might bring positive change to the fight to end sexual harassment against women. Whether or not you tune in for the Oscars this Sunday, the reverberating sounds of this movement are rippling out of Hollywood. It is echoing into all of our lives as we hear everyday women telling their stories: our co-workers, our friends, our neighbors, our families. Maybe even ourselves. Let's acknowledge this with our students, who are already plugged into what's happening. Let's empower them to shape the future into a more positive one for women everywhere. Use our lesson, "Black Women’s Activism and the Long History Behind #MeToo," as an entry point into this conversation with your students. It will challenge them to understand how activism has evolved and shifted throughout the course of history to where we are today.